Grand Cayman's Westin Casuarina Resort and Spa provides top-notch Seven Mile Beach accommodations. They offer a Kids Club for children between the ages of 4 and 12 that allows parents to arrange a variety of supervised activities. This includes excursions to popular attractions like the Turtle Farm and Dolphin Discovery, complete with lunch and transportation. Half day, full day and night camps are also offered (at reasonable prices!). If that's not enough to convince you, the resort's amenities, such as their signature Heavenly beds and Heavenly cribs, are ideal for families. The moderately-priced Grand Cayman Marriott Beach Resort offers comfy rooms, dining, a spa and fitness centre and a range of in-room amenities. 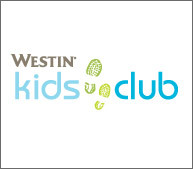 Parents will love the Kids Club, which is geared towards children aged 5 to 12. They'll love playing pool games, making crafts, going on scavenger hunts and engaging in interactive sessions with marine animals while Mom and Dad lounge by the pool. Snorkeling is a laid-back group activity and attractions like the Black Pearl Surf and Skate Park, Pampered Ponies horseback riding and a nature preserve are a short distance away – perfect for afternoons out. The smallest sister island is a little slice of Heaven for folks who love nature. If your family revels in the outdoors, the Little Cayman Beach Resort is the place for you! While they do not offer programmes designed specifically for kids, they do have an on-site game room, boutique, pool and spa. Scuba diving is perfect for fami-lies with older children, as kids 10 years and up are permitted aboard dive boats. Snorkeling is great for all ages and resort staff are always happy to coordinate fishing and water sport excursions. If you prefer to stay dry, take your mini-mes hiking or biking, or visit the nearby Little Cayman Museum, Marine Museum or National Trust House. If you're looking to plan a vacation in the Cayman Islands, these resorts are guaranteed to pass the family-friendly test. With laid-back atmospheres, amenities that range from incredibly useful to luxurious, kids' programmes and an abundance of both on and off-site activities, they're ideal for parents and their little ones. So what are you waiting for? Book those tickets today! Tuesday, 25th February 2014, 11:47pm.